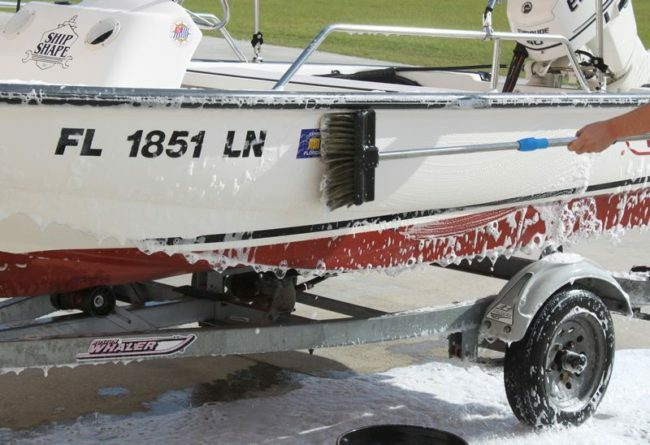 Ask most boat owners, they will never forget to wash their boat after a big day out on the water! 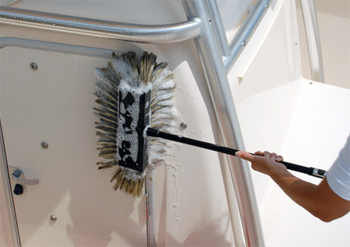 Big or small, basic or customised, every boat needs to be maintained. Washing your boat regularly is a must when you live in Redbank Plains, Queensland. Our large bays are perfect for your boat, here are some steps to take when washing your boat with us at Luxe Wash. 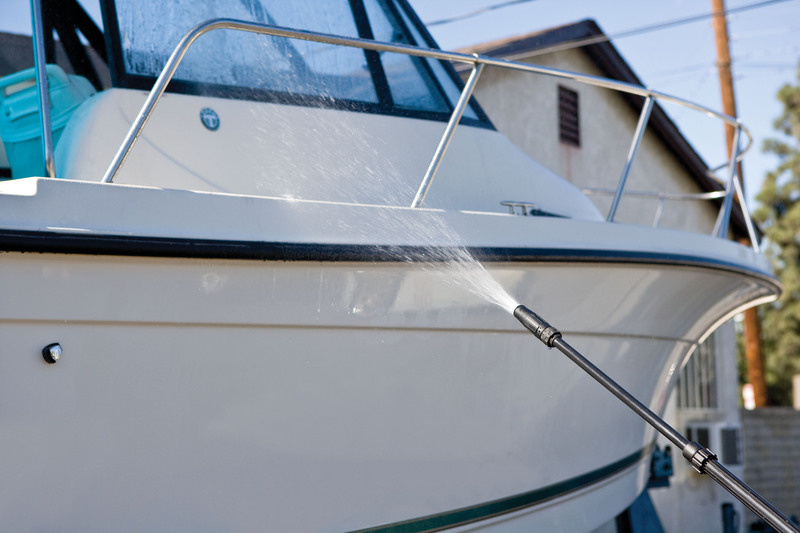 If your boat has been exposed to salt water, if you’re living in Brisbane Queensland that’s the most likely scenario, the first thing to do is rinse your boat thoroughly with fresh water. Don’t be afraid to use the pressure water gun on the hull and body of the boat. Make sure to remove any canopies, seat cushions, or other equipment. The high pressure is great for removing barnacles and marine growth, just make sure you are careful if you have stickers on your boat, so don’t hold the pressure too close. Car wash soap is the one of the best quality soaps you can trust on your boat, if it’s good enough for your car it’s good enough for your boat. It’s important after every outing to remove salt residue. Salt will not only corrode metal, fasteners and other hardware, left too long on your gelcoat, It can mar that as well. Use a long-handle, soft-bristle boat brush and some quality soap. Not only salt you want to remove (and corrosion related rust) but scrubbing your boat will help against the harsh element of the sun, surf and elements of the ocean. Now you’ll need to rinse the detergent from your boat. Use a delicate, low pressure spray pattern while rinsing. To avoid streaks from developing while rinsing, spray from the top down. Be especially careful when power washing decals and graphics. There are many reasons why boat owners continue to wax their boat hulls religiously. Some of the reasons include preventing UV Damage, less drag in the water, marine protection and protecting graphics. 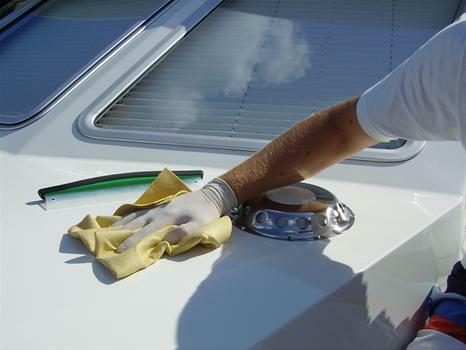 Applying the wax to the entire boat is essential if you care about the appearance of your boat and it’s longevity. There are real benefits to the maintenance and performance of your boat if you take care of it with wax. Wax can also help reduce erosion due to salt water. Begin by using the wax gun to paint the boat with wash. Then park the boat in the drying bays and begin buffing the boat with a cloth. Ultimately, the choice of buffing method is up to you. Some boat enthusiasts simply use a rag or towel and buff as evenly as they can. Allow your boat to dry before taking it out for a spin. For more helpful tips on washing your boat (or car) come visit the team down at Luxe Wash in Redbank Plains, Brisbane.